The new Board of Directors will hold an organizational meeting to elect the Executive Board on Wednesday, May 22, 2019 at 6:00 p.m. located at the Florida PBA Office. The term of office for the new board members will be from June 1, 2019 through May 31, 2023. We thank the current Board Members for their dedicated service and congratulate the new candidates for coming forward and offering their time and talent to serve you. The Big Bend Chapter of the Florida Police Benevolent Association and the Tallahassee Professional Fire Fighters announced the candidates they’re endorsing in the August primary. It turns out both organizations are backing the same candidates. And while the groups conducted separate candidate screenings, they announced them together in a joint press release Monday. The unions endorsed County Commissioner John Dailey for mayor, Bob Lotane for City Commission Seat 5, Lisa Brown for City Commission Seat 3, Rick Minor for County Commission District 3 and Jasmine Ali-Mohammed for County Commission District 1. The PBA also endorsed David Frank for circuit judge and Monique Richardson for county judge. The firefighters union endorsed Frank as well. Only one of the seats in question, County Commission District 1, has an incumbent, Commissioner Bill Proctor, vying for re-election. 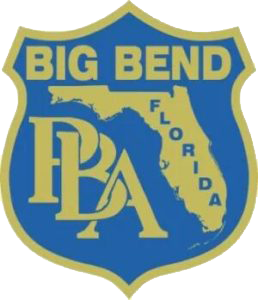 The Big Bend PBA represents nearly 500 law enforcement officers from Gulf to Madison counties. The firefighters association represents 240 members. Click here to link directly to article. This survey was conducted by the Florida Police Benevolent Association on behalf of the Big Bend Chapter to assess the general attitudes and opinions of members and non-members within the Tallahassee Police Department on a number of issues within the Department (see survey instrument, Appendix A). A direct mail survey method was chosen because of the need for the confidentiality and security of law enforcement officers and their families and the belief that we would get more honest responses with this method versus a phone survey. The survey was direct mailed to the 321 member officers and hand delivered to 18 FOP member officers around February 2, 2015. Of the surveys mailed, 109 were returned by the extended deadline for a response rate of 32.2 %, which is a fair rate of return for a mail survey. The deadline was extended due to issues with the Post Office returning the postage paid survey envelopes. Because the nature of direct mail surveys tend to be biased toward those individuals who feel strongly about an issue, we are reluctant to draw conclusions regarding the total population within the Department. However, we can conclude that the views expressed herein are reflective of almost one-third of the officers within the Department. A direct mail survey method was chosen because of the need for the confidentiality and security of law enforcement officers and their families and the belief that we would get more honest responses with this method versus a phone survey. The survey was direct mailed to the 320 member officers January 30, 2018. 151 were returned by the extended deadline and 9 were picked up and returned to the PBA office for a response rate of 50%, which is a good rate of return for a mail survey. The deadline was extended due to issues with the Post Office returning the postage paid survey envelopes and officers not receiving the survey. Because the nature of direct mail surveys tend to be biased toward those individuals who feel strongly about an issue, we are reluctant to draw conclusions regarding the total population within the Department. However, we can conclude that the views expressed herein are reflective of half of the officers within the Department. Interview regarding Man Power Shortages and Chief DeLeo’s Budget Request. Interview regarding the PBA and its role as to Officer Involved Shooting. In keeping with our solemn duty to care for our fallen heroes, the Florida PBA has enhanced the following survivor benefits covered by our Heart Fund Charity. As of today, if a member is killed in the line of duty, his or her survivor will receive a $50,000.00 lump sum benefit from our Heart Fund. This enhancement is increasing the benefit from $30,000 to $50,000. Additionally, if a member is catastrophically injured in the line of duty, the member will receive a $30,000.00 benefit from our Heart Fund. This enhancement is increasing the benefit from $20,000 to $30,000. It is our obligation to never forget the sacrifices of those heroes we have lost. We must always remember. May God bless you. Police Officers are Men and Women who are human. They have taken on a profession in which many Judge them as if they had Super Human Powers or are Programmable Artificial Life Forms. This rare video reminds us Our Police Officers are Human. Powerful Law Enforcement Motivational Video. The Iconic JACK WEBB who played the character SGT. JOE FRIDAY of the television Dragnet tells it like it is “To Be A Cop”. Follow this link to read a powerful article about the men and women who wear the Badge. Copyright © 2016 Big Bend Police Benevolent Association. All rights reserved.